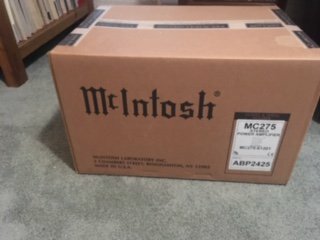 I'm soon to be a proud owner of a Macintosh mc 275 and beautiful pr of Heresy III ! (Thx Mark) I'm just curious how you guys feel about the combination the sound / enough power etc etc ?? Also I will be combining them with a Macintosh C2300 preamp and Macintosh MVP 871 and a restored thorens 145 along with a Martin Logan Balance Force 210 My audio room size 10x13 . You input is appreciated. 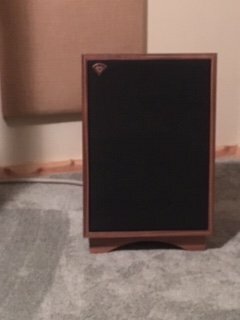 I have a pair of Forte III's in a 12x20 room with an MC240 (bench tested at 55 watts a channel) and MX110. At half volume, I am at 90-95+ decibels. If I play with tone controls/loudness toggle, I am rattling the windows and converting my entire NYC apartment to a giant sub-woofer where you can feel the vibrations throughout the entire 1000 sq ft space. The MC275 will be more than enough power. I love the tube sound with the Forte's and suspect you will also be very happy. 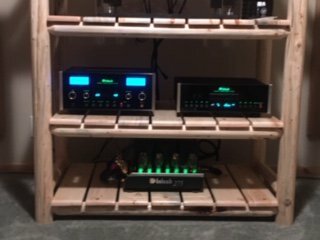 Klipsch and McIntosh make a very lovely pairing. Yes the first piece of the puzzle,soon my Kilpsch HeresyIII ,,,,,,,,I can't wait. Took my time even though I was very excited to listen !! Congratulations on your purchases. 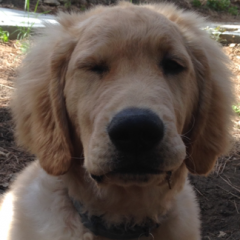 Looking forward to your full review. did some critical listening today only on the vinyl as the source., The combination of the Mac mc 275 VI tube amp and the klipsch Heresy III sounded very smooth and silky the details on the music was amazing the imaging and the vocals were dead on Point. Even though the speakers and the amp are not truly broken in yet the marriage between the two is a match made in heaven. The speakers love tube power and it shows right away it is amazing how efficient the speakers truly are with a very little power running through them. I’ve been an electrostatic guy for a long time and even though I downsized because of my room size I did not compromise at all on performance, it’s amazing how much I missed not having a full range dynamic speaker especially like the klipsch Heresy III. ok i set up my martin Logan sub(balance force 210 ) to my Heresy III , OMG mac tubes/klipsch /sub ,what a match made in music heaven !! 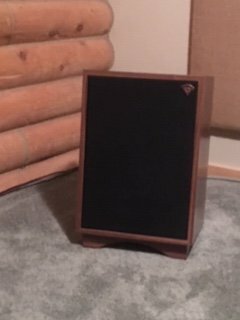 im a converted klipsch fan for good !! 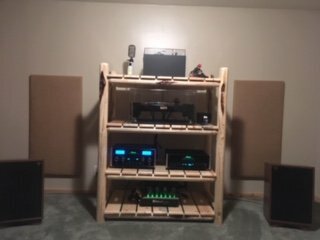 Klipsch and McIntosh have a perfect sonic match to me. I have the tube integrated MA 2275. It sounds amazing with all of my different Klipsch speakers. 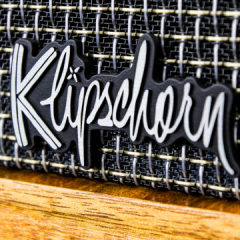 All things Klipsch Heritage and McIntosh are just a match made in heaven. It's as if they are meant for each other. The 60s/70s era Dynacos, Fishers and others like them are also really great too. But there is just something special about Klipsch and Mac. thankyou ,i sure am !! i to have a mac tube preamp C2300 !! everything sounds so smooth and detailed !! I Bet! Your system is lovely, clean and just perfect. Great choice on the classic walnut finish on the H III, looks wonderful with the gold PWK emblem. How about a pair of Mac 275s driving a pair of Cornwalls? really !! wow pics please!! !